If you happen to be an Android user and also a movie lover then you must have showbox installed on your phone or you might probably have come across the app. Showbox which is known mainly for movies and TV shows has decided to add music option to their list of services. Showbox is one of the best movie app for Android Users. With showbox you are not just limited to streaming movies and tv show, but you can also decide to download directly to your device. With showbox you are always guaranteed the latest movies available. And you also have different video qualities and sizes to choose from when streaming or downloading. ==> Stream latest movies, music and TV shows. ==> Latest movies, music and Tv shows always available for download. ==> Option to choose between different movie video resolution and file size. ==> supports both internal and external video players. ==> Download and stream latest music's. (NEW). 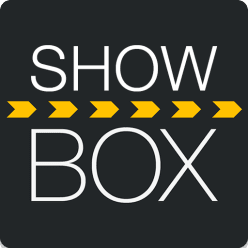 You can download the latest showbox version 4.51 from this link. Note: its advisable to manually download and update the showbox rather than upgrading from the app itself.